Convenient Born comfort is yours with the Trammell. 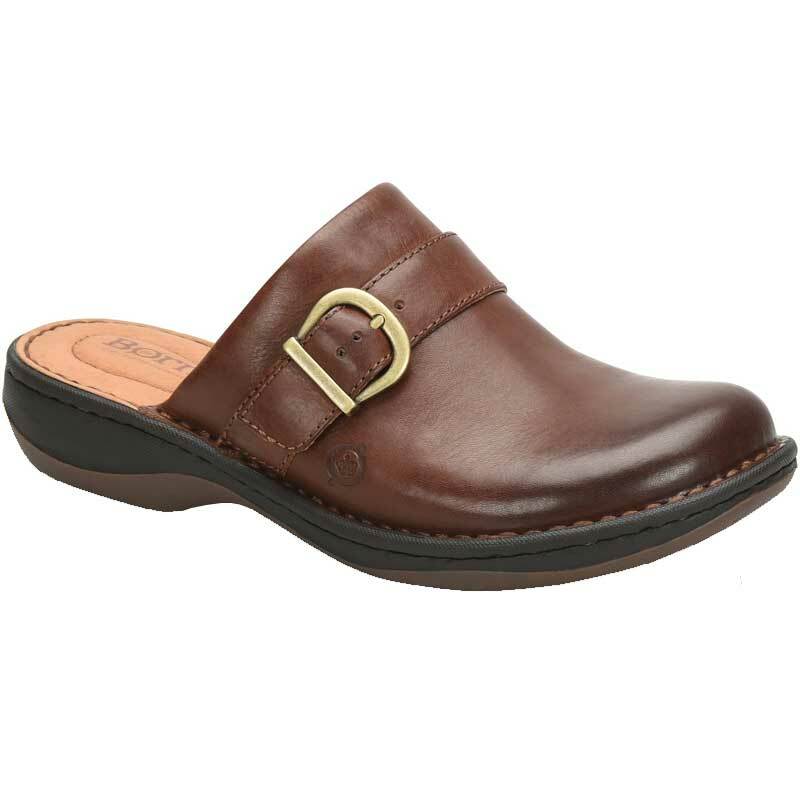 This women's clog has an upper made of smooth full grain leather with buckle and strap detail. The slip on style is an easy choice on your way out the door and the soft leather linings provide your foot with a dry and comfortable interior. The leather covered footbed ensures a cushioned step and there’s added cushion at the arch for increased support. The Trammell is crafted from Born's Opanka construction for lightweight durability and they are finished off with an EVA and rubber outsole for traction. Easily slip into the comfort of Born with the Trammell clogs.